After solid start to the season, Pionk has had problems, but he picks up an assist and has team-high five assists against Detroit at Madison Square Garden. 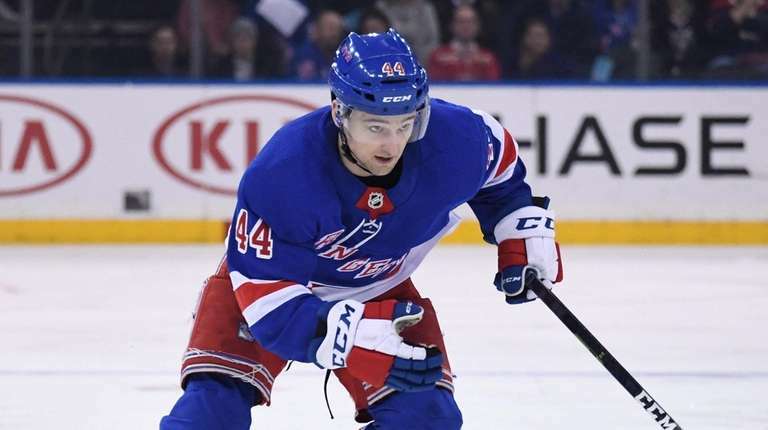 Neal Pionk was arguably the Rangers’ No. 1 defenseman for the first half of the season, but since the Christmas break, things have not gone as well for the 23-year-old Minnesotan. When he scored in the Rangers’ loss to Calgary on Friday, the goal was his first in 30 games, and his third point in that span — this from a guy who had had five goals and 20 assists in his first 32 games. 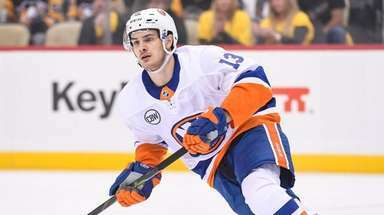 In Tuesday’s 3-2 loss to the Detroit Red Wings at the Garden, he earned the second assist on Brendan Smith’s goal with 9.6 seconds left that cut the final margin to one goal. That assist was just his third in his last 32 games. After playing 28 games at the end of last season, Pionk technically isn’t a rookie this season, though it is his first full year in the NHL. 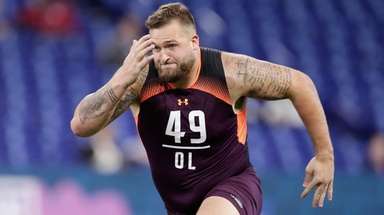 Still, given how well he played last season— so well he was chosen to play for Team USA in the World Championships last summer — it has been a dramatic falloff. The way Pionk sees it, it’s all part of the natural development process. Against the Red Wings, Pionk partnered with John Gilmour, who was called up Monday from AHL Hartford. Pionk was not on the ice when Gilmour was beaten to the front of the net by Detroit’s Frans Nielsen, who scored the game’s first goal at 17:16 of the first period. The Red Wings made it 2-0 at 4:30 of the second period, when Andreas Athanasiou continued his personal torturing of Henrik Lundqvist and the Rangers by finishing a 2-on-1 feed from Jacob de la Rose. After Ryan Strome scored on a power play with 5:14 left in the third period to pull the Rangers within 2-1, Athanasiou scored his second goal and 28th of the season into an empty net with 53.3 seconds left. Smith’s goal ended up making that one the game-winner. Pionk played 18:02 Tuesday and finished with an assist, a plus-1 rating and was credited with a team-high five hits. It was a definite improvement over Saturday in Minnesota against the Wild, when he turned the puck over to create the two-on-one break that turned into the Wild’s first goal of the game, then deflected Eric Staal’s centering pass past Lundqvist to give the Wild their second lead of the game, at 2-1. Notes & quotes: Fs Jesper Fast, Boo Nieves and Connor Brickley, and D Freddie Claesson were the scratches … Vinni Lettieri, also called up from Hartford Monday, played on the second line, with Brett Howden and Vlad Namestnikov. Smith played LW on the fourth line ... The Rangers outshot Detroit 43-30.